How to Monitor Your Employees’ PCs Without Going Too Far? Posted on July 4th, 2016 in Employee Monitoring, IMonitor Softwares | Comments Off on How to Monitor Your Employees’ PCs Without Going Too Far? That doesn’t look like work to me. iMonitor can give you a real-time look at employees’ screens. Other consequences may be far worse than mere productivity loss or a little legal hot water. Either unintentionally or maliciously, employees can reveal proprietary information, jeopardizing business strategy, customer confidentiality, data integrity, and more. Symantec’s cloud-based endpoint-protection service can monitor all of your company’s PCs with minimal setup time. The most secure way to monitor PC use is to deploy a system that consists of a host, server, or appliance together with client-installed software. Unless you have a dedicated IT staff or the budget to bring someone in on a regular basis to check on things, a cloud-based service–such as Symantec.cloud or Trend Micro Worry-Free Business Security–is probably the best choice. These services are relatively inexpensive and easy to set up compared with server offerings, and they give you the flexibility to set and monitor compliance with acceptable-use policies from a single management interface. They also deploy system security updates automatically, block malware, and protect sensitive files to prevent data from leaking out of your company. Better still, these hosted systems effectively protect laptops that frequently leave the office. If you’re not up for a total security overhaul and you just want to track user activity on a few systems, you have several affordable ways to go about it. 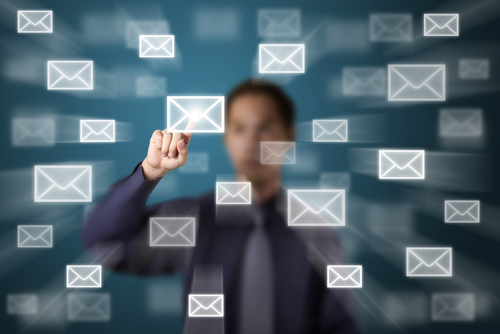 Packages such as Interguard Sonar can monitor all e-mail and IM sessions, track and filter Web usage, log users’ keystrokes and program use, and capture screenshots on command for as little as $87 per user. If you’re really on a shoestring budget, plenty of free and open-source tools can log PC and Web use. A freebie called iMonitor, for instance, can keep tabs on which applications your staffers are using and which sites they’re visiting, complete with simple reports that give you a pretty clear idea as to how employees are spending their time on their PCs. A word of caution on stand-alone tools, though: Some antimalware utilities can quickly identify and disable stand-alone monitoring tools, so you may need to create an exception in your malware protection settings to ensure that iMonitor can work properly on your systems. Be forthright: Nobody likes being spied on unwittingly. Unless you think someone on your team poses a serious threat that requires covert monitoring, it’s best to be up front with staffers about what you track and why. Many companies accomplish this with a simple statement in the employee handbook telling workers plainly that everything they do on company computers, including individual keystrokes, can and will be tracked. Letting employees know that their behavior is being monitored can serve as a powerful deterrent against unwanted online activity. In an organization, a conference call was going on between the different team members, some of whom were located at the headquarters, while others had joined in from remote regional offices. The manager kept on distinguishing between the people working from the headquarters and the regional offices by using the phrase “us and them” throughout the call. This led to bias among the team members. A good manager would have ensured that all the team members were treated as equals and addressed in the same way. Managing remotely located employees can be a task in itself. Not only is it difficult to keep a tab on the work of the remote employees, the assessment of their performance can also be tedious. Often, remote employees harbor emotions of distrust, demotivation, perceived unfairness, and lack of appreciation for their efforts. As a manager, you will have to ensure that you engage remote employees, and encourage them to approach you with their problems. You should let go of your fear of ‘what are they doing at work?’ as long as they achieve the desired results. This Buzzle article intends to make you aware about effective remote employee management. It is important that all employees, whether at headquarters, a remote location, or working from home, be aware about the goals of the organization, and the teams they represent. If this is not clear, they may not feel motivated to work collectively towards the accomplishment of the goals. This is especially crucial for employees working from regional offices or home, as they should be aware about the long-term and short-term goals of the organization. It is important that you have a result-oriented approach when dealing with employees who are not located near you. Whatever the task you allot them, you should ensure that it gets completed before the deadline. For this, you may ask them to report their progress to you every day. This will not only help keep a tab on the completion of work, but also allow you to give feedback from time to time to reduce re-work. Also, gone are the days when managers dictated the employees to work as they pleased. Accord them the freedom of working creatively, as long as they achieve the desired result. It is important that all the team members are on the same page. Hence, it is crucial that there is effective communication between all the team members. This can be done with the help of video conferencing, teleconferencing, email, chat, phone messengers, etc. You can also share files easily through Skype. There are various software which will help assign tasks to the employees. This will not only allow remote employees to stay in touch with the rest of the team, but it will also foster clarity in communication. If you expect the remotely-located employees to read your mind, then you are going to be sorely disappointed. Give them a clear picture of your expectations. There should be absolutely no ambiguity in the roles and responsibilities of the remote employees, because they are not present at headquarters. Any misunderstanding in duties can cause a delay in the completion of a task. Hence, it is important that they have clarity about their duties and responsibilities. It may so happen that employees located at remote locations may be left out during meetings and discussions. Hence, you will have to ensure that there is some collective interaction of the team through a conference call every day. It can be sharing of innovative ideas, or something related to work. It is essential that there is regular interaction between the entire team so that the company benefits from the collaboration. All the employees, including the remotely located ones, should be aware of the organizational culture. They should know about the values, policies, and work ethics followed by the organization. Newsletters, magazines, employee engagement, and announcement emails, etc., of the organization should reach these employees as well. As a manager, it is your duty to make remote employees aware about the organizational culture, which should be uniform throughout the entire organization. Make it a point that you appreciate the efforts of the remote staff from time to time, to engage them and build trust. Express your belief in their talent, values, and work ethics. This will help strengthen the bond between both the teams. Not only will it motivate the remote employees, but it will also encourage them to put in their best efforts. Whenever possible, try to reward good work executed by remote employees. This will help you to build trust. As these employees are at different locations, there may be chances that the work may not get completed as required. Hence, it is advisable to set objectives, monitor the executed work, and give feedback for it. By giving suggestions or feedback, you will be able to control the flow of work as well as its accuracy. Moreover, timely feedback will ensure that the work is on the right track. Whether it is policies, procedures, or processes, ensure that they are standardized throughout the organization. You cannot be biased when it comes to policies. If an employee who is working at a remote location gets warning about being lax at work, the same policy should also apply to people working at headquarters as well. Also, if you have the work flow or process documented, it will help remotely-stationed employees to follow the process and hierarchy. This will help in smooth functioning of the work. While in an office you can always stop by an employee’s desk and have a chat with him; this may not be possible for a remotely located employee. Schedule a telephone call, or send an email every now and then to inquire about him. Don’t let distance lead to ‘Out of sight, out of mind’. Whenever the employees need your help, you must be available-by phone, email, SMS or video conference. As the employees are located at a distance, it becomes even more important for you to be available for them whenever they need to consult you for flawless completion of tasks. While water cooler conversations are not possible in case of remote employees, it is important that the team members network with each other to improve the strength of the team. 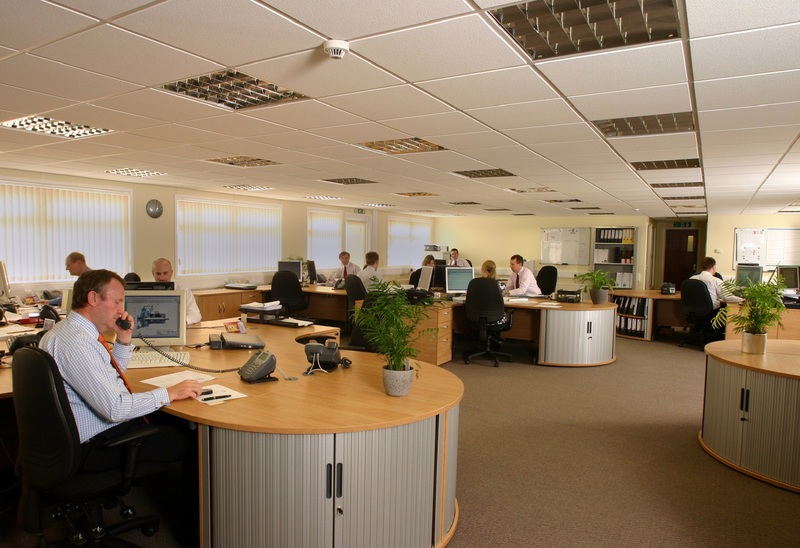 This can be done through the company’s social intranet or get-togethers, which should be arranged every few months. You can even set up an intranet team page or build a virtual team room. You can celebrate e-birthdays, share photos, personal information, etc. You can even use webcams to communicate with each other. This will also lead to some informal conversation and bonding among the team members. Sometimes, you may observe a drop in the performance, lack of motivation, unresponsiveness, dissatisfaction with work, improper tone of communication, etc., in a remote employee. All these are indicators of a problem. You will have to interact with the employee and inquire about his problems related to work. Many times due to rumors, like the employees in headquarters being given a higher raise or better opportunities for career advancement, there is a general dissatisfaction and feeling of injustice among remotely located employees. You will have to speak to them and resolve their problems and issues. The key to managing remotely-located employees is to engage them. If the employees speak in a different language, ensure that the others talk slowly during the conference call. This will help them to comprehend the language. Be sensitive towards their language preference. Ensure that you are always in touch with remotely located employees. You must make them aware that their contribution is important for the growth of the organization. Give them performance-based rewards, and appreciate their good work. Many times, remote employees feel isolated and lose motivation; you will have to inspire them to work efficiently by using your leadership skills. Ok, I know that it’s not every office that has a decenter in it, but I suspected that I had an employee who was passing off what I will call “trade secrets” from my office to another company. Now, I’m not the person who won’t let employees leave to go work for someone else. I mean, if you want a new job, that’s cool. However, when you are passing information to a competitor hoping for a lucrative job offer, that’s something I cannot abide. Anyways, the office manager and I had ideas about who this “mole” could be, but we were not sure. When everyone went home for the day, we went through and installed the employee monitoring software on every computer in the office and kept constant watch for emails and such from the guilty party to a competitor. Oddly enough, we found that there were many instances of a lack of productivity, but there was nothing that seemed troublesome. After a few days, we wondered if were just being paranoid. Instead of uninstalling the software, we simply let the software keep working for a little while longer. It was one day that we saw an odd configuration of typing that seemed like it was going in a word document. We figured it was a code, and when we confronted the employee over this alleged “code” the employee confessed. Unfortunately, we had to let the employee go. At least they had another job waiting for them, but we’re glad that we downloaded the software. Afterwards, we simply let the program go and did not inform the staff. However, with everyone wondering if they were being monitored, productivity improved over the next few weeks. We wanted to catch a “mole”, but we also get more out of our employees at the same time. We have iMonitor to thank for the advanced performance of our business! If, like many out there, you have a If, like many out there, you have a sneaking suspicion that your husband may be up to no good and may be playing around, you might be interested in knowing how you can spy on his text messages?suspicion that your husband may be up to no good and may be playing around, you might be interested in knowing how you can spy on his E-mail and Facebook ? It’s quite often obvious that a cheating husband would be using his E-mail to contact the other party, whether by making direct Facebook message with them, or more often than not, by Facebook messages that they think are a safe way of communicating because they can be instantly deleted from the cell phone’s history. At the same time, incoming text messages from a secret lover can also be instantly deleted after reading, so even getting hold of his phone is not going to give you any clues about his cheating behavior. The good news is, due to technological advances in software, there is now a way that you can monitor your husband’s computer – and even his E-mail and Facebook, if you want to go that far. I’m not going to go into the legal issues, here. Suffice to say that in many countries and states it would be deemed illegal to spy on somebody else’s computer without their permission. I’ll leave it up to you to find out your own particular laws where you live. There are also disclaimers, warnings and further legal advice at the websites of the vendors of these products. Let me just point out that it certainly is not illegal to buy such spying programs – you just need to be careful at how you use them. That said, the products themselves nowadays are very reliable and come with a variety of functions and applications. Once downloaded to the target computer, you will be able to get information sent to a secure online server from where you can retrieve it all whenever you wish and at your own pace. And you can do this from anywhere in the world using whatever internet-ready device that you have to hand – including your own mobile phone. You may frequently see that there are a number of Windows devices monitor software, however, you can hardly find a monitor software for Mac. Fortunately, now we found a Mac Monitoring Software, which can record email, chat, keystrokes, screenshots, website and other all user activities on Mac computer. Usually, the kinds of things you can monitor vary depending on how much you want to pay. At the lower end, a basic package would give you the limited ability to spy only few things, or have limited data saving time. But Mac Keylogger is different, the different plan just have using time different. The function is all the same. Another aspect of all of this that you should know about is that once installed on the target Mac, the software that does all of this monitoring for you is completely invisible to the user. He won’t know that it’s there and will have no way of knowing that you now have a secret window on his world that is revealing all his cheating ways to you. I hope I’ve given a little insight into what these spying programs can do and how they work. Many thousands of cheated on people have found out the truth of the matter by using these techniques, and this has then enabled them to do whatever they need to do about the situation and get on with their lives. If you need to know how to monitor your cheating husband’s E-mail and Facebook, this is probably the cheapest, quickest and most anonymous ways of doing it and it simply works. No more misery, no more guesswork and no more anxiety from wondering what he’s been getting up to all the time – this will help you get to the truth – and FAST! NEW YORK, March 16 (Reuters) – A former Federal Reserve Bank of New York employee was spared prison on Wednesday, disappointing prosecutors who said his leaking of confidential documents to a friend at Goldman Sachs Group Inc (GS.N) justified time behind bars. Jason Gross, 37, was fined $2,000 by U.S. Magistrate Judge Gabriel Gorenstein in Manhattan and sentenced to a year of probation with 200 hours of community service after pleading guilty to a misdemeanor charge of theft of government property. Prosecutors had sought six to 12 months in prison for Gross, who in November admitted to providing confidential information to Rohit Bansal, his former supervisor at the Federal Reserve Bank of New York who had left to work at Goldman Sachs. The case highlighted the so-called revolving door on Wall Street, in which regulators take new jobs at the banks they formerly oversaw. The charges were announced after Goldman Sachs agreed in October to a related $50 million settlement with the New York Department of Financial Services. According to prosecutors and New York regulators, Bansal obtained numerous documents from Gross after joining Goldman Sachs in July 2014. Those documents included some pertaining to examinations of a bank that Goldman was advising about a potential transaction, regulators said. In court, Bruce Barket, Gross’s lawyer, said Gross in providing Bansal the documents thought he was doing a favor for a friend who had already seen them and even created some. “I don’t think he thought much of it,” Barket said. Goldman has said that after discovering Bansal obtained the confidential supervisory information, it notified regulators and fired him and a more senior employee who failed to take further action. The New York Fed also fired Gross. Bansal pleaded guilty in November to theft of government property. He is scheduled to be sentenced on Tuesday. Enhance education on the code of conduct in the business and confidential agreement. Strengthen security of customer archives and business confidential, preventing from any losing. The employee monitoring software is necessary, which can prevent confidential crisis and grantee data security. Help companies take steps before the data losing. The monitoring software is just one means to keep the customer’s data and companies’ confidential safe. The more actions like optimize the management system and improve the staffs’ comprehensive quality are the key point to reduce data leaking happened. Whether you work at an energetic startup with tight margins or some multinational with Fortune 500 credentials, minimizing the amount of paper your department unnecessarily uses will cut into your costs and free up budget room for other things—like Friday morning donuts, for example. According to data gathered by the Minnesota Office of Environmental Assistance, American office workers use an average of 10,000 sheets of copy paper annually. The EPA estimates that paper and paperboard make up 40 percent of garbage in the US. And while efforts to promote recycling have made great strides, we still have considerable distance to cover. #1 – Make recycling easy. Print is inevitable in any office, and not everything you print is something you will store for later use. Copy paper is easy to recycle, but much of it just doesn’t find a way back into circulation because businesses don’t prioritize making recycling easy for workers. #2 – Copy on both sides of paper. Set your printers and copiers to use both sides of the page when printing. Doing so instantly cuts the amount of pages used per print job in half. That’s a huge amount over the course of a year or two! #3 – Reduce document size to fit onto single page. If you didn’t try this classic hack during college, you spent far too much valuable pizza money on paper and printing, mi amigo. Reformatting your prints to fit two pages side-by-side on the page cuts the amount of paper you use in half, and if you print front-and-back that’s three sheets of paper saved for every one used. #4 – Check out the first and last page. When you print articles from the web, a lot of times the printer isn’t automatically optimized for the page and can include links, headers, et cetera. When your print preview comes up, take a look to see that you aren’t printing something you don’t need. While this may only save a page or two on every other article, over time it will help you minimize the amount of paper waste you are producing right out of the printer. Similarly, articles with extensive comment sections can run several extra pages of print you usually don’t need. #5 – Lighter weight paper. Lighter paper requires less wood pulp to produce. That means less material investment going into your paper and less work necessary during the recycling process. Your day to day business needs don’t require heavier paper stock in most cases. In those instances where you need to make an impression with your print quality, you can manually load better paper into the printer. This also helps minimize costs, as lighter weight paper is often less expensive. Bonus! #6 – Proofread before you print. Noticing a typo on something you just printed isn’t just frustrating—it’s wasteful. When you preview your print, give each page one final run through to make sure no glaring errors will result in waste. #7 – Print management software. 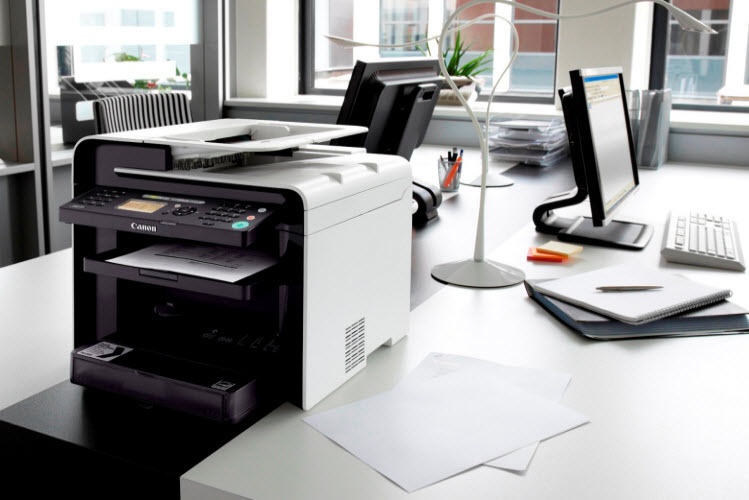 Medium-sized and larger offices can benefit greatly by using print monitoring software to help regulate cloud printing and track data, and log printed documents Popular management programs like Print Job Monitor expressly designed to limit the amount of paper waste your company uses. The most important thing about reducing your waste is being conscious about how you manage the resources you can control. Reducing total costs opens up budgetary space to buy more recycled products, as well as things like biodegradable plastic cutlery for the office kitchen and a whole lot more. Did she cheating on me? Posted on June 17th, 2016 in phone spy | Comments Off on Did she cheating on me? It’s no secret that relationships are built on trust, but sometimes that is not enough and you need to resort to other methods in an attempt to make sure your wife is completely honest and faithful. Sometimes, the only way to tell if a wife is cheating is to go behind her back and start spying on her in some shape or form. Back in the day, husbands would hire Private Eyes who would do all the snooping. They’d go out and tail the wife, probably snapping photographs of her in uncompromising positions or tracing her to some surreptitious meeting with another man in a Motel room in the next town. 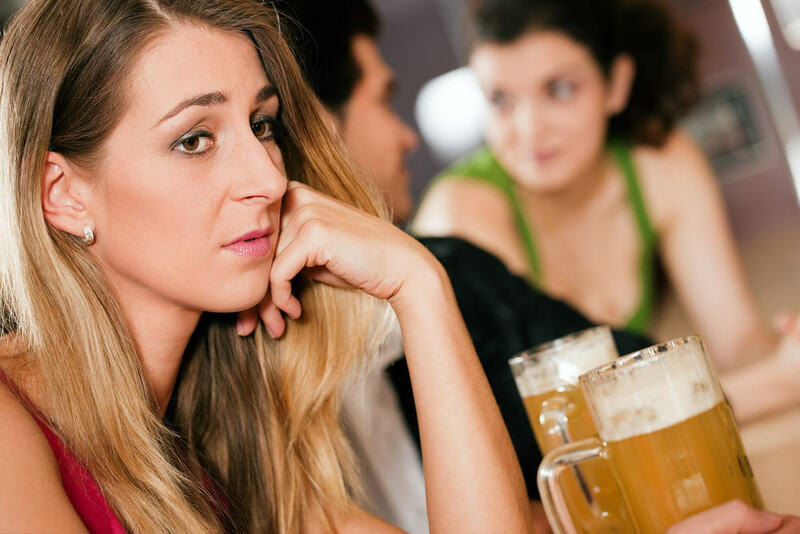 Of course, guys simply don’t have the time to do all that themselves; especially if the wife is being ultra-cautious and making sure that they only do their cheating when he’s otherwise indisposed at work or some other event that he cannot get out of. Cheating wives (and husbands for that matter!) can be sneaky like that. It’s a part and parcel of cheating and it means that finding out the truth can sometimes be really difficult. ”Me and my wife are married with a 2 year old boy. My wife had been texting a guy named Josh that would come see her at work and flirt with her. I told her that I didn’t feel comfortable with it and for her to stop. So she stopped, at least I thought she did. She put a fingerprint lock on her phone and starting hanging out with a girlfriend of her’s named Elizabeth. So i was wondering, Is there a way to spy on my wife’s messages and calls? Luckily, I found a Android phone spy software to help me monitor my wife’s phone. Without get past her fingerprint lock on her phone, I can monitor her messages on my computer or cellphone anytime. And I found that she was texting someone named Nikki. Once I dug deeper, I realized the Nikki person was just a fake contact for josh. I found out that they had been see each other for about 2 months and going the bar frequently. I saw messages between them two and took pictures and showed them to my wife, and she finally confessed after 2 months of lying. Calls : Calls will be made into recordings upload to your account that you can check anytime you like. Contacts: Record all contacts information(names & phone number)stored in the cell-phone. SMS Messages: All messages sent and received will be uploaded to your account for you to view any time. Website Visited：Record when and what web sites have been visited. You can also track all URLs. GPS Locations: Track the location of your mobile phone, displays detailed address with Google Map. App Usage: Record all applications run on the cellphone with viewing App name and Packet name. Photos: All photos and videos will be uploaded to your iMonitor account from the mobile phone. The phone spy software is indispensable when it comes to tracking down your wife’s, children’s and staff’s mobile activities, choose it in time of need! Posted on June 15th, 2016 in anywheremonitor | Comments Off on Monitor your kids’ computer? If you search ”monitor kids’ computer” on Google, you may see a bunch of questions like this. As we all know that the social networks like Facebook, Twitter and Tumblr, etc, has been integrated into the lives of our children. They spend a substantial amount of time on it chatting with their friends. This doesn’t look like a problem at first glance, but it certainly has become a huge nuisance. They succumb to all sorts of bad habits which are hard to let go if not nipped in the bud at early stages. The spread of cellphones and tablets in the hands of children has complicated matters, giving rise to applications that attract the young and worry parents. Earlier this month, for instance, came revelations that an app designed for flirting, called Skout, had led to three sexual assault cases involving children across the country. Even on Facebook, studies have repeatedly shown, there are plenty of children younger than 13, the minimum age for members, and many of them join with help and supervision from their parents. Penetrating the surface there are more deeper reasons, explained why social network monitoring is necessity to be monitored. When talking to their friends, kids sometimes get out of hand and start using profane language. Because there’s no one to stop them, they keep on doing it and soon it becomes a habit. This same language is then integrated into their regular conversations, which is something that’s going to hurt them for life. It’s up to you to save them from this problem and the only way you can achieve this feat is by monitoring their Facebook conversations. As soon as they start using abusive language with anyone, intervene right away and explain to them how this habit can take a toll on their social standing, and personal and professional relationships. Even if your words don’t get through to them, they’ll definitely fall in line when they realize that their parents are keeping an eye on them. Kids add people they don’t know and start to converse with them for no apparent reason. These added individuals can turn out to be online predators who are always on the hunt for unsuspecting youngsters. They tell them made up stories to gain their attention, and then they try their very best to arrange a meeting with them. This strategy works a lot more than any parent would feel comfortable with. You certainly don’t want this to happen to your little ones, which is why it is recommended that you seek help from a monitoring solution to keep an eye on their Facebook chats. If you see them talking to someone who seem a bit suspicious, inquire about them, and if your kids don’t know about them, then conduct your own research about them. Sexting is another big problem that has been causing a lot of issues these days. Children send provocative messages to each other. Sometimes it goes beyond that and they start sharing revealing pictures of themselves with people they haven’t even met in real life. This trend has really taken off lately as kids add random people, talk to them, get intimate with them, and start to exchange pictures and videos that are inappropriate to say the least. The person they are sexting can, and often does, share the photos and videos on a public platform. This is a very real threat and has been plaguing the current generation since the arrival of Facebook. If you crave safety and privacy of your children, then you must get help from a monitoring tool because that is the only way for you to know if your kid is engaging in sexting. This will put an end to it before things get out of hand. However, for some parents, they’d rather to discuss with their children. They holds an opinion that discussion is a good place to start. Installing internet blocking software is one approach. Another is to set family limits — that everyone in the family obeys — for computer or online time. We can not say their choice is wrong, but don’t forget our children they are not babies anymore, we can not control what they want to do. And the children spend half a day at school that we can not keep eye on them anytime. What we expect, is not forbid our children do something, is we want to know what they are doing, thinking; we want to know more about them. Only we know better about them, we can discuss better to them. We do need a computer monitoring software for our children. If you are going to keep your child safe from inappropriate content and cheaters browsing the Internet, take advantage of keylogger software and become more aware of your children computer use.